WHAT IS ULNAR NERVE SYNDROME? It is when the nerve that runs around the elbow to the hand is compressed. This nerve is called the ulnar nerve. It supplies the sensation to part of the hand (little finger and half ring finger) and impulses to drive some of the muscles in the hand. The nerve runs under a ligament around the elbow in a place commonly known as the Funny Bone (medial epicondile). This ligament binds the nerve to the elbow and forms a tunnel for the nerve to run underneath. 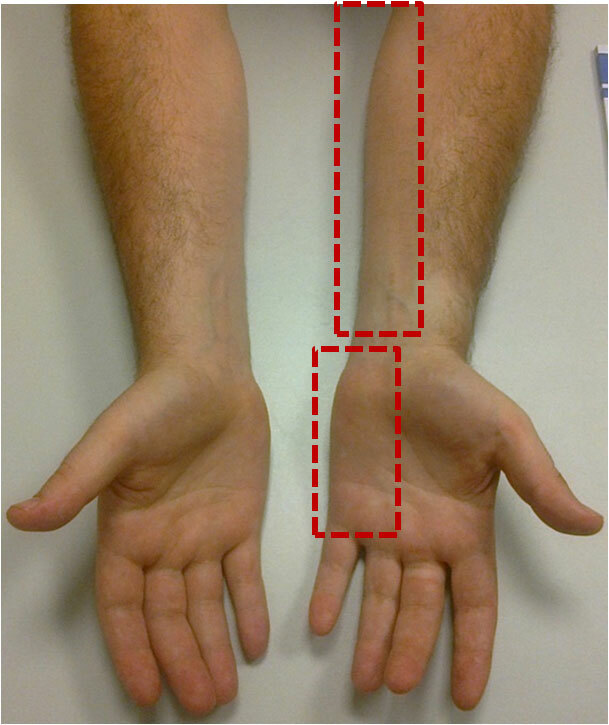 The ulnar nerve can also be compressed at the wrist at the level of Guyon’s canal, but is much rarer. Numbness in the little and ring fingers. Symptoms get worse with some activity. 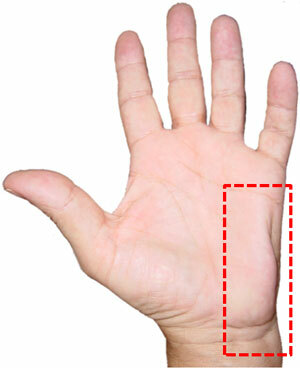 Weakness in some functions of the hand (such as spreading out the fingers. Thickening of the muscle in which the nerve runs into after leaving the fascial tunnel. Thickening of the ligament over the nerve. Hormone disorders such as acromegaly or diabetes. Repetitive trauma to the nerve. Often there is no specific cause. If you are taking blood-thinning agents (Warfarin, aspiring, anti-inflammatory agents). WHAT ARE THE REASONS FOR HAVING AN OPERATION? The commonest reason is that the symptoms in your hand are causing significant discomfort or that you have been getting worse. Usually non-operative therapy has failed. HOW DO YOU DIAGNOSE ULNAR NERVE SYNDROME? Your local doctor will usually make the diagnosis based on your symptoms. He/she may send you for special electrical tests on the nerves in your arm called Electromyography (EMG). 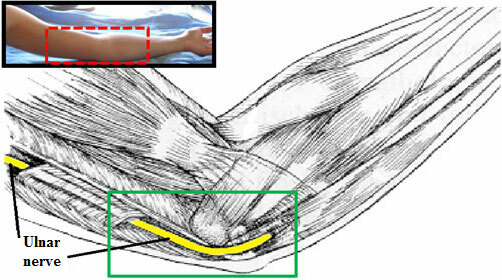 If the nerve is affected then it takes longer for the impulses to cross the elbow and they are dampened as they cross. The test will confirm the diagnosis. 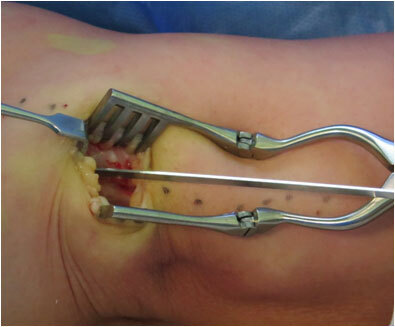 The operation is called an ulnar nerve decompression. It can either be performed under a local or general anaesthetic. You may be admitted as a day patient and go home after the operation or be admitted the day before. Regardless of the type of anaesthetic, you will not be able to eat or drink form midnight before the operation. 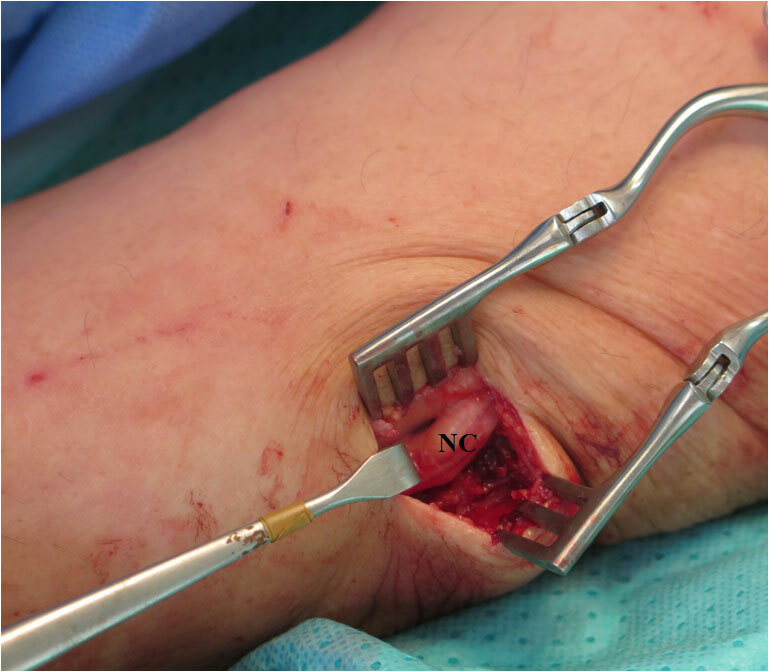 Before we start we will confirm the arm to be operated on and draw the incision on the skin near the elbow. If the operation is under local anaesthesia, then this will be injected into the wound at this time (a sedative is given by the anaesthetist to help the operation pass). If under general anaesthetic you will go off to sleep after the marking of the incision. 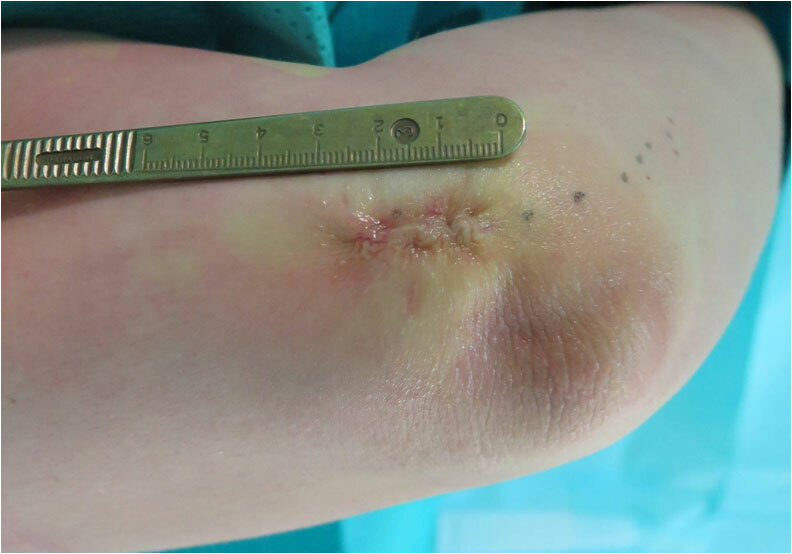 The incision is then washed with antiseptic solution and the arm is covered with drapes to leave exposed only the area of the incision. The surgeon cuts though the skin and fat down to the first layer. He will then cut through the fascia over the muscle and the nerve with a sharp blade. We identify the nerve as it runs behind the medial epicondile (bone on inside of elbow). The nerve is decompressed where it enters the muscle in the forearm (flexor carpi ulnaris). 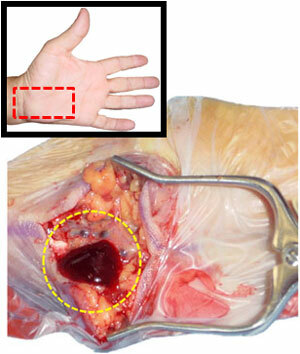 The decompression will be well beyond the incision on your arm. It extends above and below the elbow. We then makes sure all the bleeding has stopped and sews the skin layer underneath back together. The wound is covered with a bandage. A wad of cotton wool and a further crepe are used to cover the first dressing. You will then go to the recovery room. You will wake up in the recovery room, and after about one hour you will be transferred to the ward. The nursing staff will be continually checking your pulse, blood pressure, limb strength and sensation looking for any changes to indicate a complication. You will probably only need oral analgesia. We will encourage you to keep your arm elevated. Most people will be able to go home the same day. It is important that someone drives you home afterwards. The sutures are usually dissolvable. WHAT SHOULD YOU NOTIFY TO YOUR DOCTOR AFTER SURGERY? 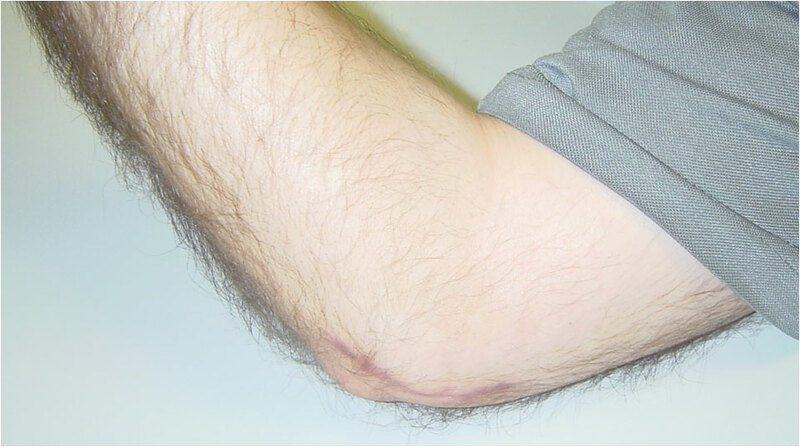 Increasing pain in the wound (elbow). 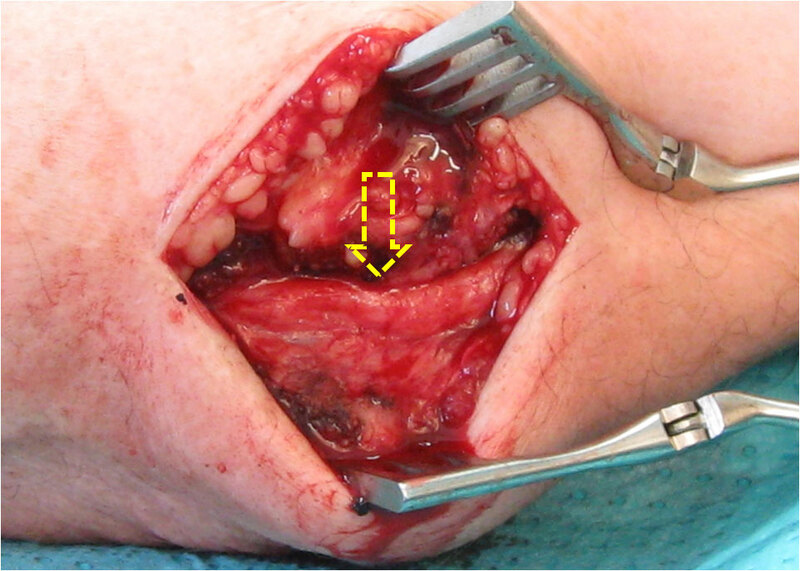 Swelling or infection in the wound. 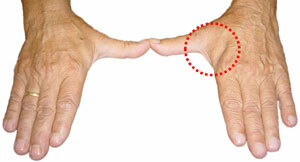 Increasing or new onset weakness or numbness in the hand. The covering bandage can be removed the next day. The other dressing should be changed every other day from the second day or if it gets wet. You will have an early follow-up appointment to have your wound reviewed. You are encouraged to try to keep the arm elevated and to use it as much as possible. You must not lift anything heavy with the hand until told you can do so by your surgeon. It is important to keep the wound dry. Your doctor will discuss driving and return to work with you. 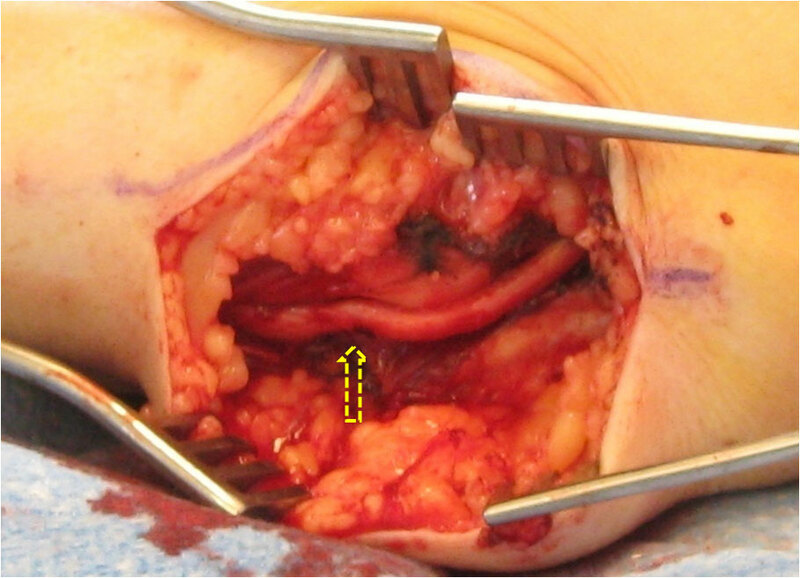 Post-operative blood clot requiring drainage. Elbow pain. Scar in wound area. Failure of symptoms to improve. WILL YOUR SYMPTOMS GET BETTER? YES, in the great majority of cases. If the nerve is badly damaged then recovered may be slow or not at all.